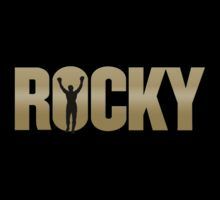 Home›Features›Rocky - A Look Back at One of Cinema's Great Franchises... and Its Latest Installment! Rocky - A Look Back at One of Cinema's Great Franchises... and Its Latest Installment! Note: This review contains potential spoilers for the films, as each film builds on the previous ones. There are no major spoilers for Creed. It has been four decades since the first Rocky film premiered in theaters, seemingly out of nowhere, surprising critics and audiences alike. The movie served as a breakthrough for Sylvester Stallone; Stallone up to the time had only had a few minor parts in B movies and adult films. The film not only make a star out of its leading man; it also ended up as 1976’s Best Picture winner, managing to beat out films like Taxi Driver and All the President’s Men, certainly no small task! The primary cast of characters from the films, taken during the filming of Rocky II. Back row, left to right: Burt Young as Paulie Pennino, Carl Weathers as Apollo Creed. Front row, left to right: Burgess Meredith as Mickey Goldmill, Sylvester Stallone as Robert "Rocky" Balboa, and Talia Shire as Adrian Pennino Balboa. With the original film being made on a shoestring budget in Philadelphia, it is highly unlikely that anyone knew that this would become an ongoing series and a global phenomenon! 2015 marks the release of Creed, the seventh film to feature Stallone playing the role of Rocky Balboa. With this new film and the series 40th anniversary, this fan thought it was high time to go back and take a look at the series at large so far, including its latest installment. Unless you have been living under a rock for the past four decades, you know the story of Rocky Balboa. Growing up in Philadelphia as a struggling fighter who moonlights as a loan shark, his life changes forever when he is given a chance to fight Apollo Creed, the world’s heavyweight champion. Alongside his best friend Paulie, Paulie’s sister Adrian who becomes his love interest, and under his trainer Mickey, Rocky goes on to fight the champion, and later, other more unpredictable and powerful opponents, all the while having to endure challenges both in and out of the ring. The cast and crew behind the Rocky series are its greatest asset. Sylvester Stallone, in addition to starring in the films, wrote and directed several of them. Stallone plays Rocky as someone who is a bit uneducated and dimwitted, but also lovable and worth rooting for in the boxing ring. 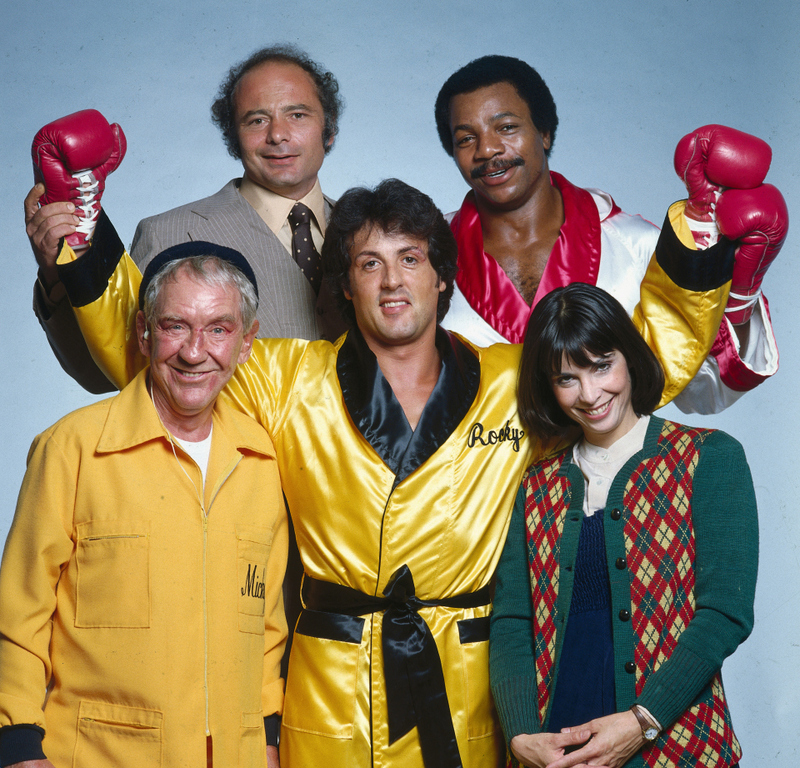 The supporting cast in the films includes Talia Shire as Adrian, the pet store clerk who becomes Rocky’s lover, Burt Young as Paulie, Adrian’s brother and Rocky’s longtime friend, who serves as both comic relief and something of a foil to Rocky, legendary actor Burgess Meredith as Mickey, Rocky’s loudmouthed but caring trainer, and Carl Weathers as legendary boxer Apollo Creed, Rocky’s foe later turned friend. Each film has its own share of interesting characters and situations; a big part of why this series has persevered and remained relevant for so long. It is now time to revisit the films. Which ones are the champions, and which ones lose the match? Rocky, the first film in the series, was released in 1976, filmed on location on a shoestring budget. The one that started it all! In the first film, Rocky Balboa is a struggling fighter who wants to make something of himself. This is not an easy task when his income as a fighter is so pathetically low that he has to moonlight as a loan shark just to get by! It does not help things any Mickey, the boxing trainer who runs the gym he is a regular at, sees him as a has been. Amidst encounters with his best friend Paulie, and trying to win over his sister Adrian, who works at a pet store near the gym, the distraught Rocky receives unexpected news – due to a cancellation, Apollo Creed, the world’s heavyweight boxing champion, has decided to give a local underdog fighter a shot at the title. Rocky begins training for what is sure to be the biggest match of his life, eager to prove to the world that he can go the distance with the champ. The first Rocky is by far the best in the series, as it is the one most grounded in reality. 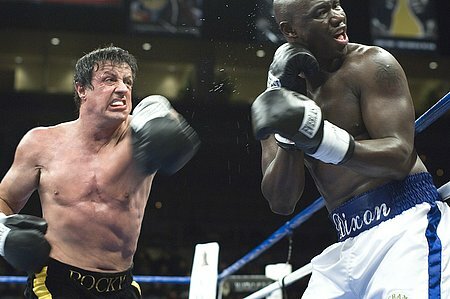 The sequels would take the character to increasingly larger and often outlandish situations, but here Rocky is a three-dimensional character, with believable relationships and life struggles that we can all relate to; there is a reason that this is the role that broke Sylvester Stallone into the mainstream and introduced him to the world. The supporting cast is no less excellent; this is Talia Shire’s best (and certainly most believable) performance as Adrian, and the relationship between her and Rocky never feels artificial and contrived. Even Carl Weathers as Apollo Creed, the “opponent” in the film, manages to come off as charismatic and likable, something few film antagonists succeed at. Burt Young is great right from day one as meat plant worker Paulie, Rocky’s best friend who gives the film much of its drama and comic relief alike. And, of course, no review would be complete without mentioning Burgess Meredith’s role as Mickey; his often uneasy relationship with Rocky makes for some of the movie’s best scenes. The writing and the on location filming help the movie to feel all the more authentic and real. Filmed on a shoestring budget with a script by Stallone, the story manages to hit close to home. 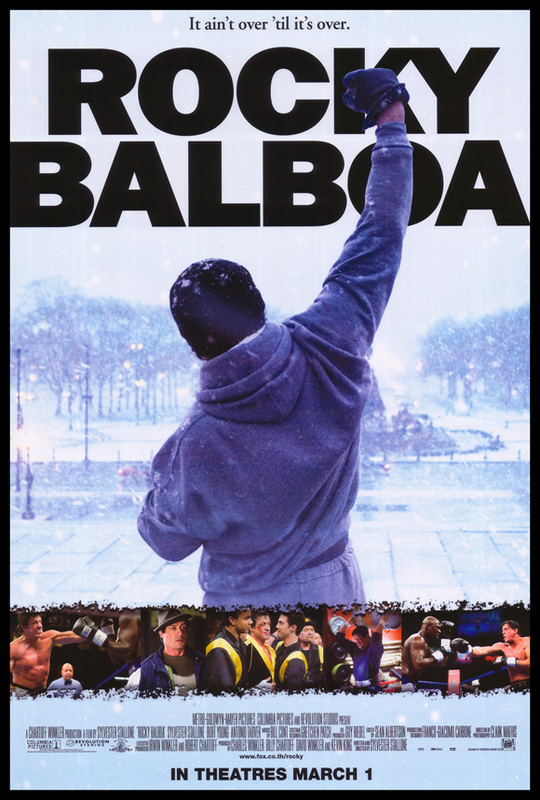 There are countless classic moments in the film, from the “Gonna Fly Now” montage to Rocky and Adrian’s first date, and even unintentionally classic scenes like Rocky’s unusual training method with Paulie in the meat packing plant. Is it a perfect movie? Not quite. While very much a product of its era (which I mean in the best of ways) the pacing may put off modern viewers who have been weaned on action-heavy films and those with limited attention spans; one must understand that this is a drama first and a boxing movie second. If you give it a chance and go with it, you will see why the first Rocky is the best. 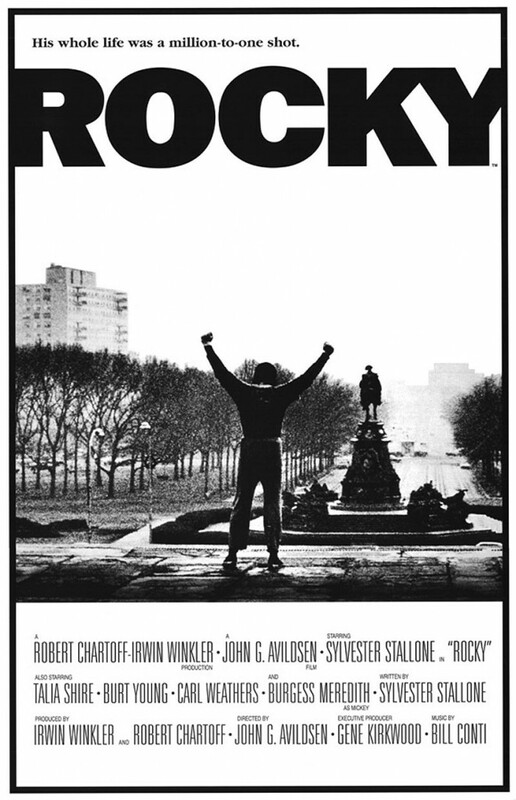 A classic that spawned an unexpected franchise, Rocky deserved its 1976 Best Picture win. -Talia Shire, who plays Adrian, is the sister of director Francis Ford Coppola. She had previously appeared in The Godfather films as Connie Corleone; those films were directed by her brother. -This film was directed by John G. Avildsen; Stallone would direct most of the subsequent sequels himself. Avildsen is perhaps most famous for directing The Karate Kid films. -Sylvester Stallone’s brother Frank Stallone appears in the film as a street performer, singing the song “Take You Back” in the film. Rocky II was released in 1979. 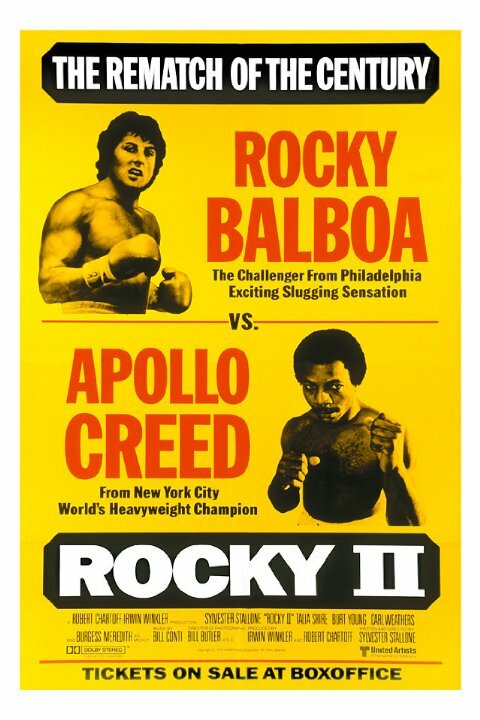 The sequel's classic poster was done in the format of old boxing promos. 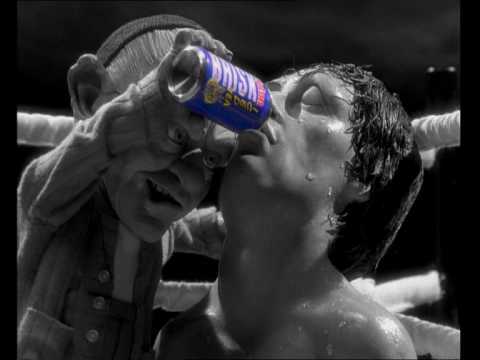 Following the fight in the first film, Rocky struggles to adjust to life. Marrying Adrian and with the two of them expecting their first child, Rocky tries to use his fame from the fight with Apollo to generate money to help his family, which will soon be growing. Unfortunately, things take several turns for the worse; it becomes clear that financial hardships could derail Rocky’s once optimistic future, and that he might not be able to fight again. Meanwhile, Apollo Creed faces accusations that he “carried” Rocky through their fight, which brings his own reputation into question amongst his fans. Amidst the drama and the various goings on, there is only one way it can all end – a rematch between Rocky and Apollo. Following up the first Rocky is not an easy task, and over the years, a number of reviews have been unkind to the first sequel. Truth be told, Rocky II is not a bad film at all, and definitely feels more rooted in reality than many of its successors. It feels like a direct sequel to its predecessor, with much of the same cast, and more of an emphasis on story and drama than what happens in the ring. These are definitely strengths, not weaknesses. In fact, this fan would dare to say that the second film features some of the best drama in the series. That said, the film is far from perfect, and it is not hard to see where some of the less than favorable reviews come from. At nearly two hours in length, it does feel padded and excessive in places. The midsection tends to drag; a subplot regarding Adrian being in a coma following the birth of she and Rocky’s child makes for some good drama and development for our protagonist, but also slows the movie to a halt. A good 20 minutes or so could have been trimmed from the final film. Rocky II is not the cinematic classic that the original movie is, but it is a wrongfully maligned sequel that deserves more respect from the fans and the critics. -This is the first of two appearances of the Father Carmine character; he performs the wedding ceremony for Rocky and Adrian, and gives a blessing to Rocky prior to his big fight. The character later reappears in Rocky V.
-Final appearance of Tony Gazzo, Rocky’s former loan shark employer. He does not reappear in Rocky V when Rocky moves back to the old neighborhood. -First appearance of Bill Conti’s “Conquest” instrumental, which becomes the theme for many of the boxing matches throughout the Rocky series. Rocky III was released in theaters in 1982. It marked several steps forward for the series, as well as its characters. In the third film, Rocky’s life has completely and totally changed. Following his triumph at the end of Rocky II, has become the new heavyweight champion of the world, become an overnight celebrity, and defended the title successfully ten times. He even puts on a charity fundraiser match against the world’s wrestling champion! But things take a drastic turn when a new contender, the brutal Clubber Lang, steps up to the challenge. An unprepared Rocky is badly beaten in the ring by Clubber, losing the title. To make things worse, Rocky's longtime trainer passes away. 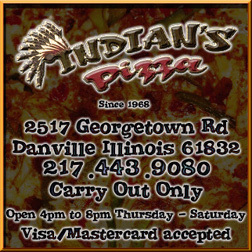 But the Italian Stallion gets help from an unlikely ally – Apollo Creed. Under the tutelage of Creed and his team, Rocky begins training for the rematch of the century, in an effort to regain the championship. Of the Rocky sequels, this one is my personal favorite. The cast and crew could not simply repeat the formula of the first two movies, but this film manages to stay true to its predecessors while bringing new elements to the table. Clubber Lang, the new antagonist, is completely the opposite of Apollo Creed, and makes for a truly menacing and detestable foe; we truly want to see Rocky get into the ring and beat this guy. Yet the film is not without drama and struggles for its character; we truly see Rocky going through a personal crisis more than a few times in the film, and the supporting cast’s performances are equally impressive. Mr. T, in the role of Clubber Lang, left a lasting impact on viewers of Rocky III. The film is definitely better paced than Rocky II, clocking in at about 100 minutes and packing plenty of action and drama into its duration without feeling rushed or overdone. There is more action here than in any other film of the Rocky series, but it does not come at the expense of development. From ludicrously humorous moments to some of the best of what the series has to offer, Rocky III stands as one of the franchise’s high water marks. -This film is widely credited with introducing Terry “Hulk Hogan” Bollea (as Thunderlips the wrestling champion) and Lawrence “Mr. T.” Tureaud (as Clubber Lang) to the world, both of whom would become major pop culture icons of the 1980s. Mr. T’s infamous catchphrase, “I pity the fool,” is taken from dialogue in this movie. -“Eye of the Tiger” by Survivor, arguably the song most associated with the Rocky series, first appeared in this film. 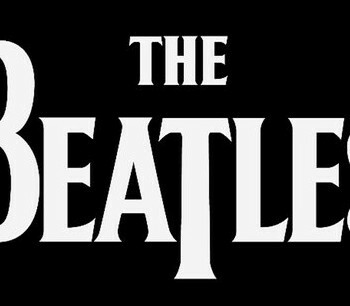 It was the first song they would contribute to the franchise, but not the last. -Although this is Mickey’s last appearance in the “present” in the series, Burgess Meredith would return to the series in Rocky V for a newly-filmed “flashback” sequence. 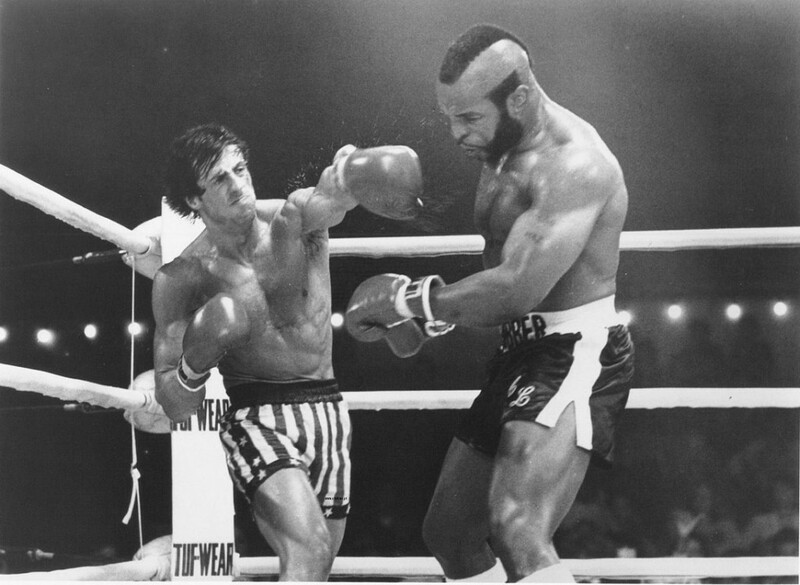 Rocky IV was released in 1985, being a financial success despite mixed critical reviews. Rocky has regained the championship, and life is good. But the Soviet Union has made an announcement that it will be entering the world of professional boxing. Soviet champion boxer, Captain Ivan Drago, challenges one of America’s top boxers to an exhibition match, only to (literally!) kill his opponent in the ring! Upon seeing the death of his friend at the hands of Drago, Rocky agrees to fight him in the ring – but the match will be set deep in Russia, amidst the Cold War. Okay, here is where the Rocky series became more than a little ridiculous. By this point, the “everyman” story that Sylvester Stallone wrote back in the mid 70s had been long forgotten, in favor of a over-the-top cheese fest that definitely ranks as the series’ most laughably dated entry. Rocky IV bares no semblance to Stallone’s original vision of the series/character; despite this it remains revered amongst the fans. Whether that is because they actually enjoy it or because it has a “so bad it’s good” quality is debatable. Steely eyed antagonist Ivan Drago, played brilliantly by Dolph Lundgren, is one of Rocky IV's best assets, even if other elements of the film are less than stellar. Rocky IV has only the barest skeleton of a plot, which more or less rips off Rocky III. It quickly becomes a game of “how many montages can we cram into one movie?” The musical score is very dated compared to the more classical-style scores of the other films, and the ending (Rocky winning the Cold War?) is overly preachy and ridiculous. That said, Dolph Lundgren is imposing and radically different from all previous Rocky antagonists, so the movie has that going for it if nothing else. Rocky IV is not a bad film, but it is the most dated and laughable installment in the series. It feels “paint by numbers” and does not bring much new to the series. Yet it remains one of the most beloved films in the series for the fans. Final verdict on this one? You be the judge. -Vince DiCola scored this film; it was the only film in the entire Rocky franchise (unless one counts Creed) to be scored by someone other than Bill Conti. -This is the first film in the Rocky series in which the song “Gonna Fly Now” is not played, although a few bars of it are incorporated into Vince DiCola’s musical score. -Despite mixed critical reviews, this is the highest grossing film in the Rocky series. Rocky V was released in 1990, five years after the fourth installment. 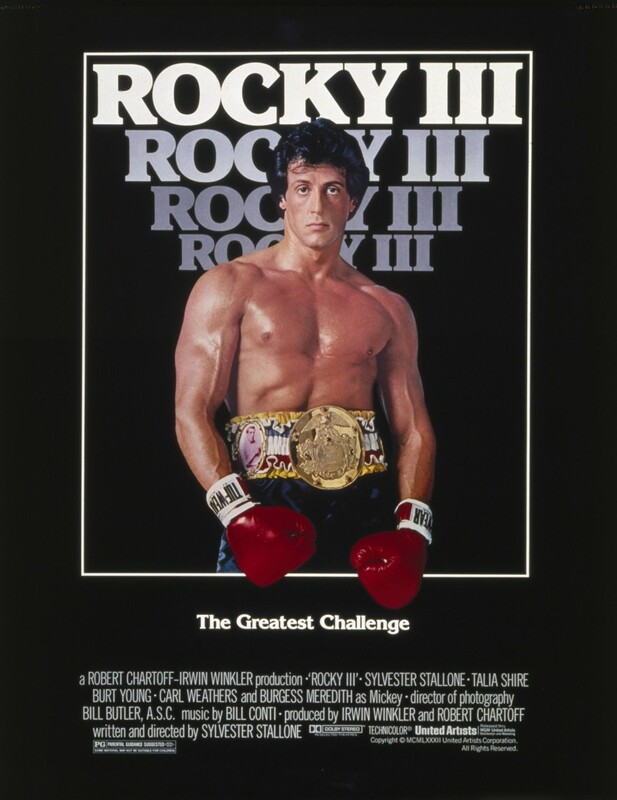 It was the only sequel in the franchise directed by John G. Avildsen, who directed the original film (Stallone directed all other Rocky sequels himself sans Creed). Rocky has returned from his fight in Russia, only to find that blows he has taken during the bout have given him a form of brain damage, rendering him incapable of boxing again. Adding further insult to injury, the Balboa family’s accountant has screwed them over financially, leaving them nearly bankrupt and forced to relocate back to their old Philadelphia neighborhood. Rocky’s son immediately becomes a target for bullies, and Rocky himself decides to begin training a new fighter, Tommy Gunn. Unfortunately, things take a turn for the worst when Rocky’s training distances him from his son, and Gunn goes with a sleazy promoter to enhance his own career. People bash Rocky V relentlessly and call it the low point of the series. Even Sylvester Stallone is known to be a detractor of the film. Personally, this fan believes that the movie is severely underrated and gets a far worse reputation than it should. It is not a perfect film and does have many flaws, but it is definitely the “down to Earth” movie this franchise needed after the ludicrous Cold War plot of Rocky IV. Okay, many of the complaints made towards the film are valid. The child actors and the professional boxers in the movie cannot act, and many scenes come off as laughably wooden and are robbed of dramatic qualities as a result. Richard Gant is hilariously over the top in a role that more-or-less spoofs and mimics Don King, simultaneously being one of the best and worst things about the film. In Rocky V, Balboa goes from fighter to manager, with results that end up less than favorable down the road. But the film has a lot going for it as well. 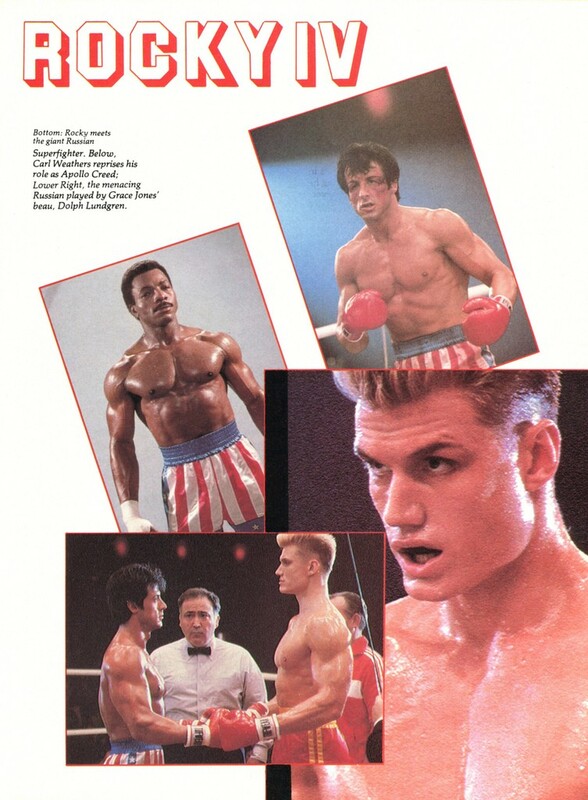 At its release, it was the most satisfying and dramatic film in the series since the first two, and there are attempts at things the series had never done before, namely adjusting to life back in the old neighborhood, putting Rocky in the role of a trainer, growing distant from his son in the process, and his relationship with Tommy Gunn, which ends up going horribly wrong. The final fight in the film is completely different from the standard “in the ring” boxing matches that made up previous movies; this actually helps the movie to stand out a good deal in this regard. Rocky V is a flawed film; that is true. 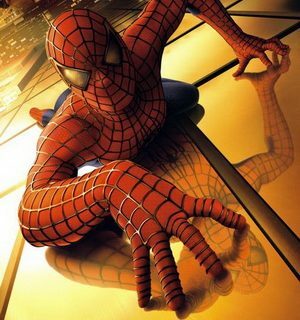 But it also has many qualities that work in its favor and make it far better film than people claim. Despite what you have heard and read, it is worth watching. -Rocky’s son in the film is played by Sage Stallone, Sylvester Stallone’s real life son. Tragically, Sage was found dead in 2012 at the age of 36. -Tommy Gunn was portrayed by real life boxer Tommy Morrison, who took a substantial break from boxing to work on the film. Sadly, Morrison died of AIDS in 2013, at age 44. -Director John G. Avildsen returned to direct this film; he previously had directed the original 1976 film. -In the original ending to the film, Rocky was to be killed in the street fight at the climax. It is speculated that many of the negative reviews of the movie stem from the “build up” to this going to waste. 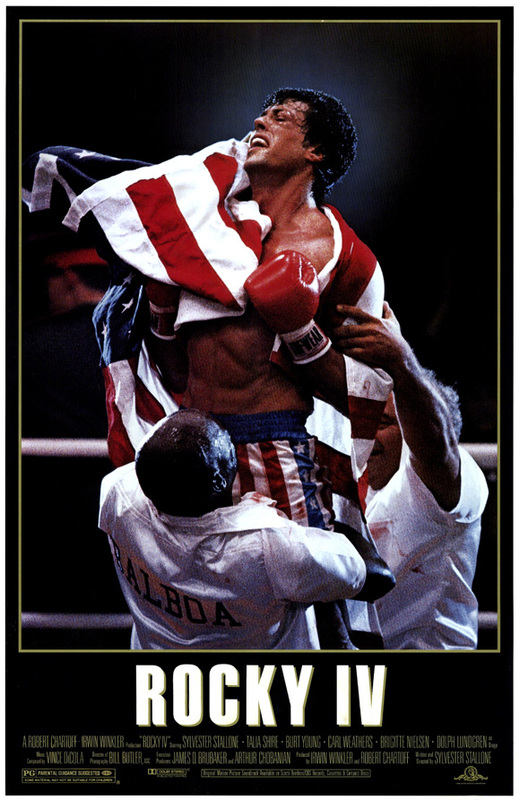 Rocky Balboa hit theaters in late 2006, 14 years after Rocky V (note that the poster pictured is from a foreign release, which occurred a few months later than the American one). Many years have passed since the events of Rocky V. Adrian has died of cancer, leaving Rocky largely alone due to an estranged relationship with his son, who wants to distance himself from the popularity of his famous father. Having stepped away from fighting, Rocky now runs a successful restaurant, where he entertains patrons with stories of his past fights. Feeling alone and distraught, Rocky looks for something that will help him to recapture the spark of his past. He gets his wish in an unexpected form when the managers of current boxing champion Mason “The Line” Dixon want to pit their fighter against Balboa in an exhibition match in Las Vegas for charity, which will improve Dixon’s terrible reputation. As Rocky trains, he tries to come to terms with his past, and improve his relationship with his son. It is not likely that people ever thought they would see another Rocky movie following Rocky V, which apparently concluded the series and was met with less than favorable critical reception. 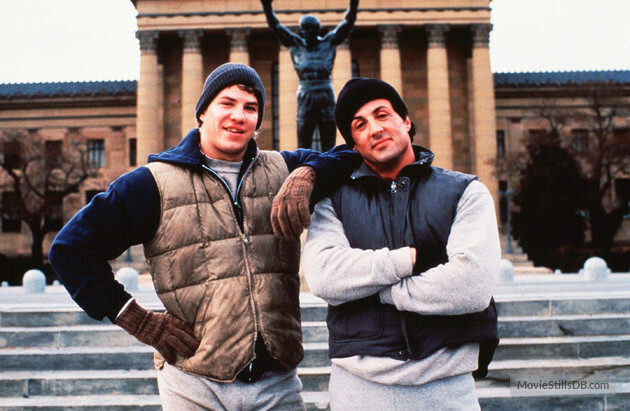 Not only is Rocky Balboa an unexpected sequel that no one ever thought they would see; it is actually one of the best entries in the series. Professional boxer Antonio Tarver portrays Mason "The Line" Dixon in the film. Seeing an aging and widowed Rocky who has grown estranged from his son gives this film an interesting angle right from its opening moments. In this film, for the first time in a long time, you can truly relate to Rocky’s struggles and personal problems. On the surface, just reading a plot summary or something of the sort does not do it justice. It may be years later, long since the last Rocky movie, but the character is as endearing and beloved as ever. Paulie remains as interesting and entertaining a character; even he manages to get in a few good dramatic moments this time around, though he still serves the comic relief end of things well. It is not likely anyone knew what to expect with Rocky getting back into the ring after so many years have passed, but the conclusion of the film does not fail to please, nor does it feel like a "money grab" from audiences. This is no mere “nostalgia trip” or “where are they now” story; the film manages to deliver some strong moments throughout its duration. As such, Rocky Balboa is definitely a must-see. -Spider Rico, who appears in the film, is the very first boxer Rocky was ever seen fighting in the first Rocky film. -The first appearance of the “Little Marie” character since the original movie. She plays a far more substantial role here than she did in the original film. -Multiple endings were shot for the movie, related to the outcome of the fight. -Cameos from professional boxers, and at times, outright starring roles in the series, are commonplace in the Rocky franchise. Immediately prior to Mason “The Line” Dixon entering the ring for the fight, Mike Tyson makes a cameo. 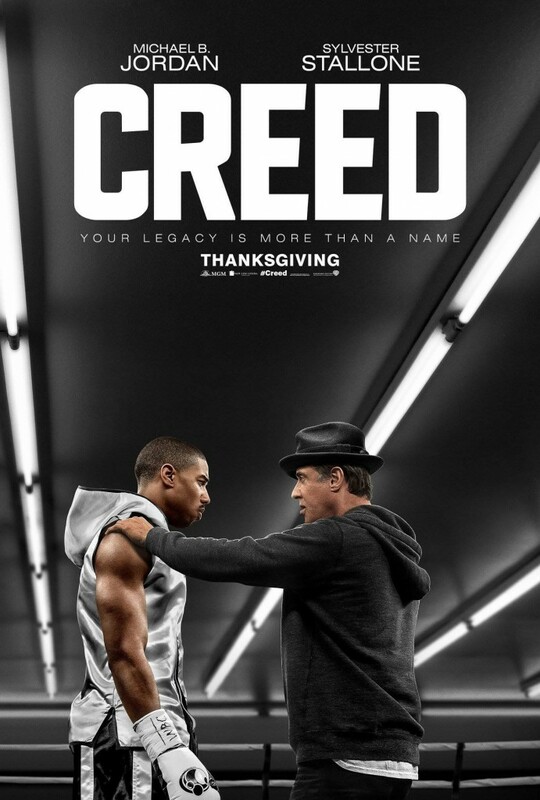 Creed was released in American theaters on Thanksgiving weekend 2015. Prior to Apollo Creed being killed in the ring, he had an affair that resulted in the birth of an illegitimate son, Adonis. Apollo’s widow, Mary Anne, adopts Adonis following his stays in numerous group homes and juvenile detention centers. As an amateur fighter, Adonis leaves his corporate day job for Philadelphia, seeking out Rocky Balboa to become his trainer. Reluctantly, Balboa agrees and the twosome gets on with things. Upon moving to the city, Adonis meets a beautiful up and coming musician, and does his best to balance life in and out of the ring. Meanwhile, Rocky begins a personal battle with far more at stake than those he fought in the past. What is Creed? Is it a spin-off of the Rocky franchise? Is it basically Rocky VII? The simplest answer is that it is a little bit of both. I figured coming in here that Stallone would be relegated to nothing more than a cameo, but he more or less becomes Michael B. Jordan’s co-star, and the relationship between them makes for the most interesting aspect of the film. Stallone has been supposedly “retiring” the Rocky character for years now, sometimes with mixed results. But this brings about an interesting character arc that never feels padded or contrived, or like Stallone is trying to milk the franchise. Creed manages to maintain a solid balance between all that made the old Rocky films great, but it also manages to bring just enough to the table to keep things fresh for a new generation of moviegoers. Very few characters from the old films remain; nearly everyone that was once close to Balboa is dead and gone, and he still struggles to make peace with it all. Meanwhile, Adonis develops relationships with Balboa, who becomes more than just a trainer, and Bianca, the beautiful singer who lives in the same apartment complex. Just seeing these worlds and generations collide makes for some of the more interesting moments in a film in the Rocky universe. That said, there are some shortcomings. The main issue I had with the film was the overly “urban” atmosphere with an abundance of modern hip hop music and the like; there are many scenes that feel like they would be interchangeable with other modern movies in urban settings. Tessa Thompson plays the role of Bianca well enough, but feels like she belongs in a different movie. Creed does try to hard to be overly modern and urban, even if the film is good overall. The overall outcome is that Creed, despite its shortcomings and overly (and needlessly) urban feel, does manage to accomplish a great deal in its run time. The ending to the film is perfect; if this is the final time that Stallone plays Rocky, it is definitely a sound conclusion for him, and a solid introduction for Jordan should there be subsequent Creed sequels. 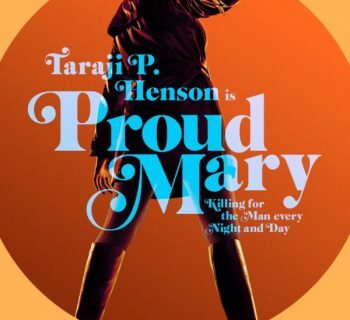 The film is absolutely worth checking out! -Ryan Coogler directed the film. He had previously directed Michael B. Jordan in Fruitvale Station. 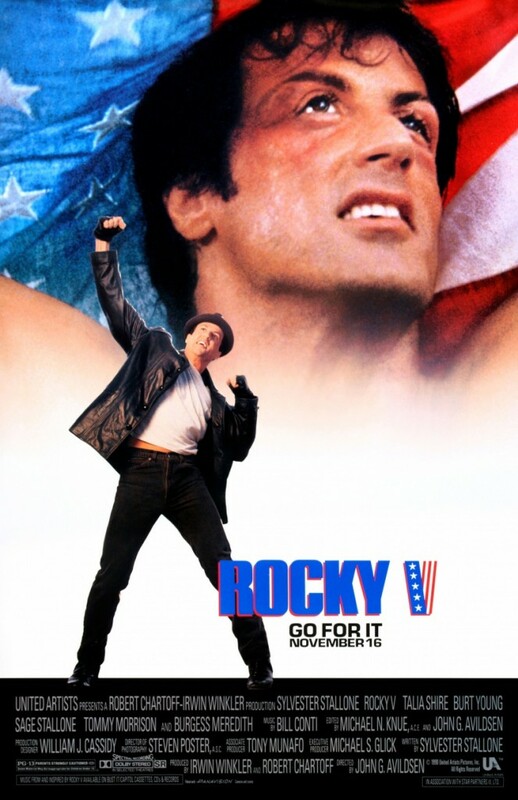 -This is the first Rocky film not directed by either Sylvester Stallone or John G. Avildsen. -With the release of this film, the only character to appear in every Rocky film is Rocky Balboa himself (not counting flashbacks from previous films). Of course, over the years, Rocky is a franchise that has not been immune to parodies and other means of ridicule. The 1990s Lipton Brisk Iced Tea commercial below is a prime example of this. With the Rocky character making his seventh cinematic appearance, it is the ideal time to revisit these classic films and everything that made them great, and then to head to the theater to check out Creed. Through its highs and lows, good and bad points alike, the series, much like Rocky himself, is one that goes the distance and never lets up. Looking to go back and revisit the Rocky franchise? There is no time like the present to pay them another visit, before you go out and experience the latest story! Rocky, its sequels, and Creed and all associated images/characters/entities/etc. are the copyright of Sylvester Stallone, United Artists, MGM, Fox, Sony/Columbia, Warner Brothers/New Line Cinema, and all respective copyright holders. The opinions in this article are are strictly those of the author, and do not necessarily reflect those of the filmmakers or Zrock'R Magazine. TagsAdonis CreedAdrianAntonio TarverApollo CreedBurt YoungCarl WeathersClubber LangColumbiaCreedDolph LundgrenGeorge Washington DukeGeraldine HughesHulk HoganIvan DragoLittle MarieMason "The Line" DixonMGMMickey GoldmillMighty Mick's BoxingMr. TPaulieRichard GantRobert BalboaRockyRocky BalboaRocky Jr.Shamrock MeatsSonySpider RicoStuntmanSylvester StalloneTalia ShireTommy GunnTommy MorrisonTony "Duke" EversTony BurtonUnited ArtistsWarner Bros.
Lando - Another Classic Star Wars Character Gets A Solid Marvel Comic Release! Hail, Caesar! The Coen Brothers Revisit Hollywood's Golden Age.... With Mixed Results.